Ransomware attack - What would happen if you paid? 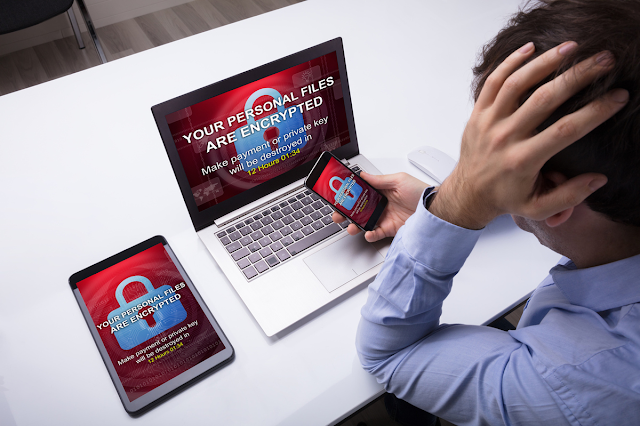 Ransomware attack - What would happen if you paid to get back your stolen data? The victims of ransomware attacks are often being bribed by cyber criminals to pay ransom in order to get back their hijacked data. The data illegally accessed by them featured confidential information, stolen credit card numbers, users’ credentials, passwords, and many more. It is shocking here to reveal that hackers are proving to be dishonest in the pretext that ransomware targets who paid the bribe to them, only half of them could get relief in the form of getting their stolen files back. Restoring to double standards, this act and conduct of criminals could be a great way losing both your valued money and your data files. As per the study conducted by security company- CyberEdge, it was revealed that those individuals who were victims of ransomware infection, the best way for them is to pay ransom to get back the stolen files. The poll pointed out that only half of paying ransomware targets were able to get their files and confidential data back. The report further disclosed that 55% of the individuals examined by them found their systems infected by malware. As per the study made, in Spain, 80% of the users reported malware with the highest rate. Other companies reported as 74% in China, followed by 71.9% in Mexico. The malware hit percentage was 53.8% in the U.S, and in the UK, 49.5% were reportedly hit by the malware. The studies revealed that approximately 72.4% of ransomware infected companies were able to acquire their data back. Furthermore, there were some companies who simply overlooked the payoff demands. These companies restored their systems on their own with backup copies that were uninfected. Nearly 86.9% of the companies simply, who overlooked the criminal intention of the hackers, also restored their backup system. Out of those companies who were left with no other alternative other than paying the bribe amount, only 49.4% were able to recover their data, and 50.6% finished up losing both their money and data files. These figures indicate that cyber criminals are not true to their words, and they are adopting a double standard policy. CyberEdge pointed out it’s just like flipping a coin twice repeatedly, firstly to find out if your company will be the victim of ransomware infection, and then, if you settle on to pay the bribe, flip it once more to find out whether you'll acquire your confidential data back or not. It is very important to determine a method that can help maintain offline backups in a secure manner.